Since 1996, the perpetual myth of Ferrari’s modus operandi is that they have always used a number 1 and 2 policy. In fact if you put ‘team-orders’ into a Google search 6 out of the first 10 entries relate to Ferrari..
Eighteen years of selective memories, subversive agendas and questionable journalistic ethics have convinced the multitude of Ferrari haters that it IS the truth. Team orders have existed since motor-racing began and in the pre-war era their use – within different teams – was predominantly driven by the political landscape of the time. Since the inception of the Formula One championship in 1950, team orders have been an accepted part of the sport as a team chases the driver’s title for their leading driver. Two classic examples of this: Peter Collins handed his car to Fangio in 1956 and in 1964 Bandini moved aside to allow John Surtees the required points to succeed. Yet when Ferrari honestly admitted to opening Massa’s gearbox in Austin 2012 to support Alonso’s title battle – the media and mis-informed once again cried ‘foul play’. This itself brings about another point; Ferrari’s openness to the ridiculous rules and subterfuge the rule-makers force teams into. The Todt administration may have been cynical in Austria 2002 but it was explicitly clear who the favoured driver was and the switch was completed in full view of the world. What would prove a compelling question is did the drivers know before the race what the result would be because I seriously doubt that they were racing flat-out.. The fall-out from this ‘outrageous’ act was a banning of all team orders – which brought about its own coded language – until Ferrari famously told Massa that “Alonso is quicker than you”; which strangely enough were the exact words Kovalainen heard during the 2008 German GP in regards to Lewis! If you wish to remain affronted – at least consider all the facts. I doubt the collusion between Mclaren and Williams at Jerez 1997 even registered on the British media and Hakkinen’s second win was just as pathetic – “Sorry David, Mika made a mistake, can you let him past again?” Yeah, right!! In fact, when you look back, it’s the stiff upper-lipped British teams that have run number 1’s and 2’s most often. ← #F1 Pre-Season Poll: Who will be 2014 World Driver Champion? Not one of your best efforts, Carlo. Take a step back, approach objectively, compile data, THEN come to a conclusion. You conclude before you make any argument or share any data. Not one of your best efforts, Carlo. Hope that doesn’t sound too harsh, but it’s because I always like what you have to say. …especially if I was going to finish by claiming to be a perpetual fan who was concerned about not sounding grating or gruff. That said, I also found it difficult to drill-down to the author’s core premiss[es]. Are team orders bad? If so, why? But then how to explain that they’ve apparently been part of the sport for most of its history? And if team orders are not bad, then why is Ferrari seemingly criticized for employing them – even if the author regards that claim as suspect? I sense great passion in this writing, and look forward to reading more, especially if paired with rigorous editing (and/or planning/drafting). I’m actually going to ruminate on this over the next few days… Seriously, I need to give it some thought and run it past a few people. Never too old to learn… Or be right again, I guess. fwiw: there’s a typo in my post above – the ‘wink’ was dropped in formatting, which might radically alter the tone!!! d’oh! Great article but if I may add one thing. In 1956 Collins and Musso handed their car THREE TIMES to Fangio (Musso in Argentina and Collins in Monaco and Monza). As Argentina and Monaco were the two first races for the WDC that year, I always struggled to buy into Enzo’s (later made) point that these team orders were given in the interest of the team rather than in the interest of a clear #1 driver. 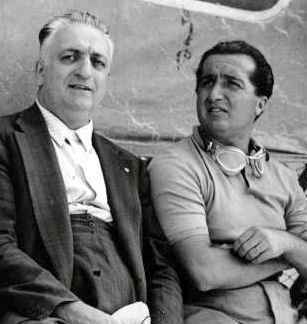 So i think it would be better to say that in 1956 the driver was bigger than the team, much to Enzo’s regret later on as Fangio wasn’t known for his loyalty, that misjudgment is probably one of Il Commendatore’s few mistakes. Some great points. I’m currently putting together a piece in regards the history of team-orders and will research those examples further. To be frank carlo, that’s not the best one you’ve written. I’ve got no idea why it had to descend into a McLaren bashing and then you top it off with a Nazi quote?? What about the core message? What was the core message? “A rich tradition of number 1 drivers? If we’re going to re-write Ferrari’s history pre 1996, I will be forced into making every OTD feature a Ferrari one where I’ll explain to the world why Ferrari was never about 1 & 2 drivers. Enzo Ferrari hated any driver becoming bigger than the team. I feel for Schumacher currently but one lasting legacy from his time at the squad is this belief that they always embraced this policy. To be totally honest, I find Mclaren’s holier than thou attitude nauseating. Not only when it comes to team-orders but I remember the repeated attacks that Ron Dennis has aimed Ferrari’s way. Be it the insinuation of using traction control before it was legalised in Spain 2001 or his other sotto voce attempts at subverting the truth. In his employ is one of the most biased journalists I have ever had the displeasure of reading – Matt Bishop – who constantly used his F1 Racing platform to attack Ferrari and the Mclaren blog is written by Alan Henry who since the Spygate scandal has re-written history to support his version of the events at the time. Unfortunately, in the UK there is still an element that views Ferrari as the big manufacturer against the small inncocent British ‘garagista’. These are all multi million dollar companies that have comparable levels of personnel and technology. As to the quote by Goebbels, I didn’t know it was his until I put the quote into a search engine. I wanted the message and if it had been Gandhi I would have credited him with the words. I’ve just watched the 2002 season over the last couple of months (obviously going through F1 withdrawal!) and from watching the race and the post-race interview Barrichello didn’t know before the race what he would be asked to do and he looked very unhappy about it after the race and stated that he was told to let Michael past and to show how unhappy he was did it as late as possible. I would agree though that they weren’t racing hard at the time but I suspected Barichello thought that Michael would stay behind him until he received the order to let him pass. I guess Michael repaid him later in the season at the US GP after the championship was locked up. Finally, a Carlo rant, love it! I feel your anger and frustration, and how right you are. I’ve seen in other communities that people become defensive about Ferrari’s history of having a number 1 driver. That is a waste, as there is nothing to be asharmed about. There are advantages and disadvantes to a team to have a #1 driver. As mentioned several times, team orders were de rigueur in F1 in the early days, but Ferrari did have “favourites” or number one drivers (including Niki). 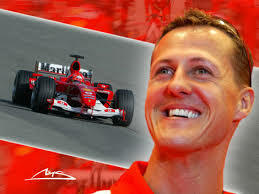 It was not until the Schumacher era that it got out of hand. Also I would query your list of British team number one’s -Alan jones retired after the 1981 season because Reuteman was allowed to race him, and Ralf/Damon? Ralf and Damon? You not heard about the 1998 Belgian GP, Jordan running 1 and 2 and Damon telling the boss that they were 1 and 2 but if they ‘raced’ it might end up off track? Re: Kovalainen heard during the 2008 German GP in regards to Lewis! I believe that incident was not team orders, but returning both cars to the pre pit stop running order. Lewis’ scheduled pit stop was altered to benefit kovalainen as there was the window to push Kovalianen ahead of some other drivers, as such when Lewis made his belated stop, he ended up behind Kovalainen. Now you don’t sacrifice a leading driver’s position to bring another driver from far behind so you can finish 4th and 5th. So Kovalainen had to give the position back which he did. 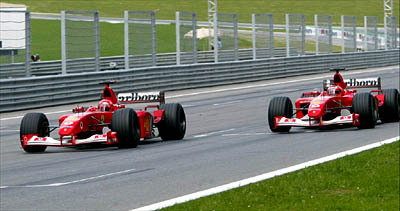 Lewis went on to overtake 3 other cars and win the race, whereas, Kovalainen remained where Lewis left him. The true conclusion was that Lewis would have got past, but it would have been stupidity for the team to allow him waste tyre life doing that, when they were the ones who got him in that position in the first place. When the FIA prepares the cars and the drivers have no sponsorship commitments or a aligned with any team, then we can have “every man for himself”.